I had the most full on weekend ever. Saturday was insanely occupied and Sunday is just crazily exhausted! I was prepared for this to come because Joe has invited his high school mates over to have Chilli Crab for dinner. Joe and I started cleaning the house since very early in the morning. It's unbelievable. We cleaned out every corner and every drop of dust because there will be a baby coming to visit us. We cleaned until 4pm non stop! Then we go straight into cooking! 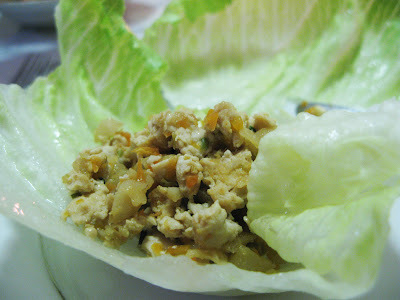 I was stressed out because I'm cooking Sang Choi Bao. It's been a long time since I last cook this. Or maybe I should say, I have only cooked this once about 2 years ago and it was a failure. Yeaps, I was so stress that I got a headache and I accidentally broke 2 sauce plate. I just have this problem about serving food that is not up to my expectation to my guest! I would throw away the dish if it's not good. I will rather go out and get takeaways. So yea, I was stress. But the stress was worth it. My effort is not that bad after all. I have made quite nice Sang Choi Bao this time. Not perfect but it's ok :) Maybe more colours to the food would be great. Joe in charge of the mains. 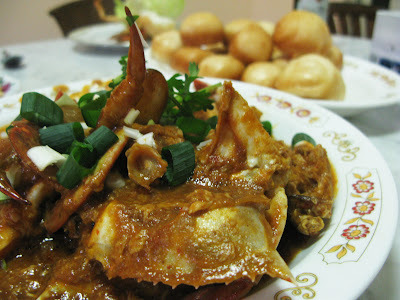 Chili Crab with sweet buns. Everybody love the dish! It has very nice tomato base sauce with a hint of chili. Sweet buns to go with it, is just awesome. Here comes the dessert, Sago Pudding with Gula Malaka. I got praise for this! 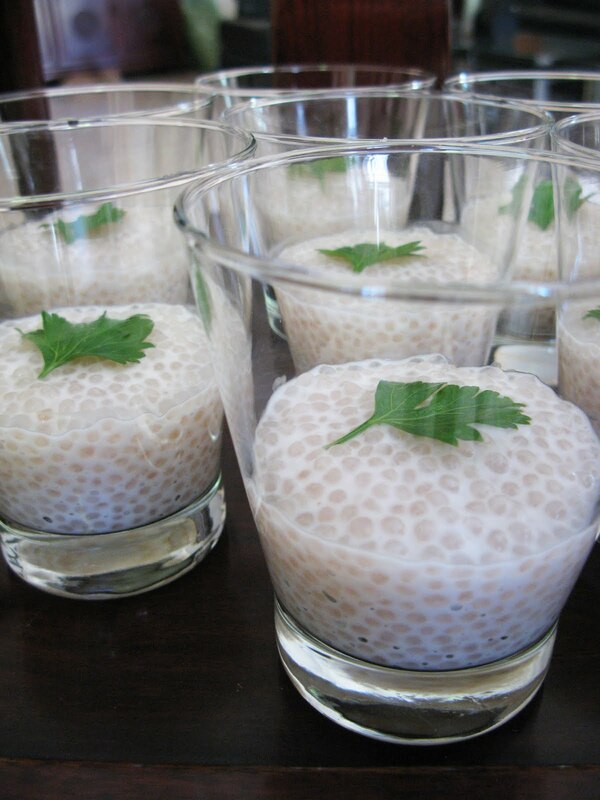 I'm so happy :) Although I over boiled the sago hehehe but they love it! Joe and I were exhausted but we still manage to watch today's episode of Masterchef. It's 12.30am now and Joe is sleeping soundly. I'm here, blogging about my day. I think I better head to bed. Dead tired man. Yea... you must be wondering why I still blog when I'm so tired.. because I wanna show you my pretty sago pudding! Nah.. joking.